Timeframe: Once we get your info, we’re usually able to make you a fair cash offer within 24-48 hours. From there, we can close as quickly as 7-14 days if you need to. Real Estate Group 360 is a private mortgage note buyer in California and we buy notes all around CA and across the U.S. as well. 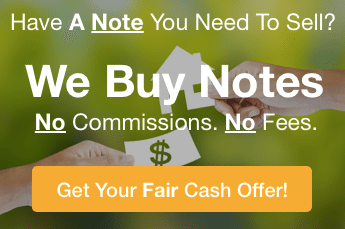 We’re not a note broker… we’re actually the ones buying your note. If you’re looking for someone who has creative options… some of which may be able to get you close to the full face value of the note… rather than someone who is just going to throw you a low-ball offer, connect with us and lets chat. Give us a call at (805) 852-7418 to talk about your note and the options you have and how much we can pay you for your real estate note.